C. B. Lee, Y. Iwaya, Y. Suzuki and T. Sone, ``A study on the measurement of one-dimensional vibration intensity carried by bending vibration,'' J. Acoust. Soc. Jpn. (E), 14(1), 11-18(1993). C. B. Lee, Y. Suzuki and T. Sone, ``Measurement of one-dimensional vibration intensity carried by bending vibration,'' J. Acoust. Soc. Korea, 12(2E), 12-28(1993). K. Ozawa, Y. Suzuki and T. Sone, ``Monaural phase effects on timbre of two-tone signals,'' J. Acoust. Soc. Am., 93(2), 1007-1011(1993). Y. Suzuki, Y. Iwaya and T. Sone, ``A measurement of one-dimensional vibration intensity with the proper selection of methods in accordance with the type of vibration field,'' J. INCE/J, 17(3), 127-130(1993) (in Japanese). Y. Ogura, Y. Suzuki and T. Sone, ``A new method for loudness evaluation of noises with impulsive components,'' Noise Control Engineering, 40(3), 231-240(1993). K. Ozawa, T. Sueki, Y. Suzuki and T. Sone, ``Perceptual space for timbre of harmonic complex tones consisting of 20 to 40 components,'' J. Acoust. Soc. Jpn. (E), 14(3), 209-212(1993). Y. Suzuki and T. Sone, ``Signal processings and electronics for digital hearing aid,'' BME, 7(7), 37-45(1993) (in Japanese). Y. Suzuki, T. Yokoyama and T. Sone, ``Influence of interfering noise on the sound localization f a pure tone,'' J. Acoust. Soc. Jpn. (E), 14(5), 327--339(1993). H. A. L. Joson, F. Asano, Y. Suzuki and T. Sone, ``Adaptive feedback cancellation with frequency compression for hearing aids,'' J. Acoust. Soc. Am., 94(6), 3248-3254(1993). S. Takane, Y. Yamada, Y. Suzuki and T. Sone, ``Estimation of impulse responses of 3-dimensional sound field in an enclosure by using Boundary Element Method,'' J. Acoust. Soc. Jpn., 50(3), 188-197(1994) (in Japanese). K. Abe, F. Asano, Y. Suzuki and T. Sone, ``A method for simulating the HRTF's considering head movement of listeners,'' J. Acoust. Soc. Jpn. (E), 15(2), 117-119(1994). K. Ozawa, S. Takane, Y. Suzuki, T. Sone, T. Miyajima and Y. Tahara, ``An evaluation of performance of an acoustic-field simulator by subjective experiments with binaural reproduction,'' J. Acoust. Soc. Jpn., 50(5), 374-381(1994) (in Japanese). H. Takeshima, Y. Suzuki, M. Kumagai, T. Sone, T. Fujimori and H. Miura", ``Threshold of hearing for pure tone under free-field listening conditions,'' J. Acoust. Soc. Jpn. (E), 15(3), 159-169(1994). T. Harima, Y. Suzuki and T. Sone, ``Critical rotational speed for a rotating sound image,'' J. Acoust. Soc. Jpn. (E), 15(3), 207-209(1994). Y. Iwaya, Y. Suzuki, M. Sakata and T. Sone, ``Errors due to the 4-channel method for the measurement of one-dimensional vibration instensity in the semi near-field,'' J. Acoust. Soc. Jpn., 50(7), 529-539(1994) (in Japanese). S. Sato, F. Asano, Y. Suzuki and T. Sone, ``A proposal for a set of Japanese phoneme grouping system suitable for use in the evaluation of the auditory performance of hearing aids,'' J. Acoust. Soc. Jpn., 50(8), 602-612(1994) (in Japanese). T. Sone, Y. Suzuki, K. Ozawa and F. Asano, ``Information of loudness in aural communication,'' Interdisciplinary Information Sciences, I(1), 51-66(1994). Y. Suzuki, F. Asano, H. Y. Kim and T. Sone, ``An optimum computer-generated pulse signal suitable for the measurement of very long impulse responses,'' J. Acoust. Soc. Am., 97(2), 1119-1123(1995). Y. Suzuki, S. Takahashi, T. Sone and T. Takasaka, ``"CLAIDHA" --- Compensating Loudness by Analyzing Input signals Digital Hearing Aid,'' JOHNS, 11(9), 1294-1300(1995) (in Japanese). F. Asano, Y. Suzuki and T. Sone, ``Weighted RLS adaptive beamformer with initial directivity,'' IEEE Trans. Speech Audio Processing, 3(5), 424-428(1995). R. Nishimura, Y. Iwaya, Y. Suzuki and T. Sone, ``Decaying wave component of one-dimensional vibration intensity,'' J. Acoust. Soc. Jpn., 51(10), 763-768(1995) (in Japanese). G. Chen, M. Abe and T. Sone, ``Evaluation of the convergence characteristics of the filtered-x LMS algorithm in the frequency domain,'' J. Acoust. Soc. Jpn. (E), 16(6), 331-340(1995). Y. Suzuki, T. Ise, F. Asano, T. Sone, K. Ohyama and T. Takasaka, ``Measurement of loundness functions with the subdivision rating scale method and the conventional rating scale method,'' Audiology Japan, 38(6), 803-816(1995) (in Japanese). F. Asano, Y. Suzuki and T. Sone, ``Sound equalization using derivative constraints,'' Acustica united with Acta Acustica, 82(2), 311-320(1996). G. Chen, M. Abe and T. Sone, ``Effects of multiple secondary paths on convergence properties in active noise control systems with LMS algorithm,'' J. Sound Vib., 195(2), 217-228(1996). H. Uematsu, K. Ozawa, Y. Suzuki and T. Sone, ``A consideration on the difference limen for timbre of complex tones consisting of higher harmonics,'' J. Acoust. Soc. Jpn. (E), 17(2), 105-108(1996). Y. Suzuki, T. Ise, F. Asano, T. Sone, K. Ohyama and T. Takasaka, ``Estimation of loudness compensation functions with the rating scale method,'' Audiology Japan, 39(3), 209-223(1996) (in Japanese). N. Saito and T. Sone, ``Influence of modeling error on noise reduction performance of active noise control systems using filtered-X LMS algorithm,'' J. Acoust. Soc. Jpn. (E), 17(4), 195-202(1996). H. Uematsu, K. Ozawa, Y. Suzuki and T. Sone, ``A model for timbre discrimination taking the effect of lateral inhibition into account,'' J. Acoust. Soc. Jpn. (E), 17(5), 265-267(1996). H. Uematsu, K. Ozawa, Y. Suzuki and T. Sone, ``Perception process and its model for timbre of comprex tones consisting of only higher harmonics,'' J. Acoust. Soc. Jpn., 52(12), 948-956(1996) (in Japanese). N. Saito, T. Sone, T. Ise and M. Akiho, ``Optimal on-line modeling of primary and secondary paths in active noise control systems,'' J. Acoust. Soc. Jpn. (E), 17(6), 275-283(1996). G. Chen, M. Abe and T. Sone, ``Improvement of the convergence characteristics of the ANC system with the LMS algorithm by reducing the effect of secondary paths,'' J. Acoust. Soc. Jpn. (E), 17(6), 295-303(1996). R. Nishimura, F. Asano, Y. Suzuki and T. Sone, ``Speech enhancement using spectral subtraction with wavelet transform,'' Trans. IEICE, J79-A(12), 1986-1993(1996) (in Japanese). H. Y. Kim, F. Asano, Y. Suzuki and T. Sone, ``Speech enhancement based on short-Time spectral amplitude estimation with two-channel beamformer,'' IEICE Trans. on Fundamentals, E79-A(12), 2151-2158(1996). K. Ozawa, Y. Suzuki, H. Uematsu and T. Sone, ``Effects of aural combination tones on the loudness of a pure tone masked by an inharmonic pure-tone,'' J. Acoust. Soc. Jpn. (E), 18(1), 9-18(1997). G. Chen, M. Abe and T. Sone, ``Improvement of convergence speed in the filtered-x LMS algorithm with correlated reference signals,'' Trans. IEICE, J80-A(2), 309-316(1997). K. Abe, F. Asano, Y. Suzuki and T. Sone, ``Sound field reproduction by controlling the transfer functions from the source to multiple points in close proximity,'' IEICE Trans. Fundamentals, E80-A(3), 574-581(1997). T. Harima, S. Takane, Y. Suzuki and T. Sone, ``Localization of a virtual sound image by two sources located on the median plane,'' J. Acoust. Soc. Jpn. (E), 18(4), 205-208(1997). K. Muto, H. Shibayama, K. Shimada, Y. Suzuki and T. Sone, ``A new method for the step gain modification of NLMS algorithm with fuzzy control,'' J. Acoust. Soc. Jpn., 53(12), 941--948(1997) (in Japanese). H. Takeshima, Y. Suzuki, M. Kumagai, T. Sone, T. Fujimori and H. Miura, ``Equal-loudness levels measured with the method of constant stimuli -- Equal-loudness level contours for pure tone under free-field listening conditions (II) --,'' J. Acoust. Soc. Jpn. (E), 18(6), 337-340(1997). G. Chen, M. Abe and T. Sone, ``Improvement of convergence speed in the Filtered-x LMS algorithm with correlated reference signals,'' Electronics and Communication in Japan, 80(12), Part 3, 20-28(1997). M. Abe, K. Fujii, Y. Nagata, T. Sone and K. Kido, ``Estimation of the waveform of a sound source by using an iterative technique with many sensors,'' IEEE Trans. Speech Audio Processing, 6(1), 24-35(1998). R. Nishimura, F. Asano, Y. Suzuki and T. Sone, ``Speech enhancement using spectral subtraction with wavelet transform,'' Electronics and Communication in Japan, 81(1), Part 3, 24-31(1998). E. Ozimek, J. Konieczny, Y. Suzuki and T. Sone, ``Random changes in envelope of AM tones and their detection,'' J. Acoust. Soc. Jpn. (E), 19(2), 83-94(1998). K. Abe, K. Ozawa, Y. Suzuki and T. Sone, ``Evaluation of environmental sounds using adjectives describing sound quality, emotional state, and information carried by sounds,'' J. Acoust. Soc. Jpn., 54(5), 343-350(1998) (in Japanese).  S. Takane, Y. Suzuki and T. Sone, ``A proposal of "equivalent acoustic admittance" for evaluation of acoustic properties of wall materials,'' J. Acoust. Soc. Jpn., 54(9), 641-648(1998) (in Japanese). S. Takane, Y. Suzuki and T. Sone, ``Accuracy of sound field analysis when acoustic properties of elastic strip are represented by means of equivalent acoustic admittance,'' J. Acoust. Soc. Jpn., 54(10), 720-728(1998) (in Japanese). Byeong-Seob KO, Ryouichi NISHIMURA, Yoiti SUZUKI, "Robust Watermarking Based on Time-spread Echo Method with Subband Decomposition," IEICE Trans. on Fundamentals, E87-A(6), 1647-1650(2004).